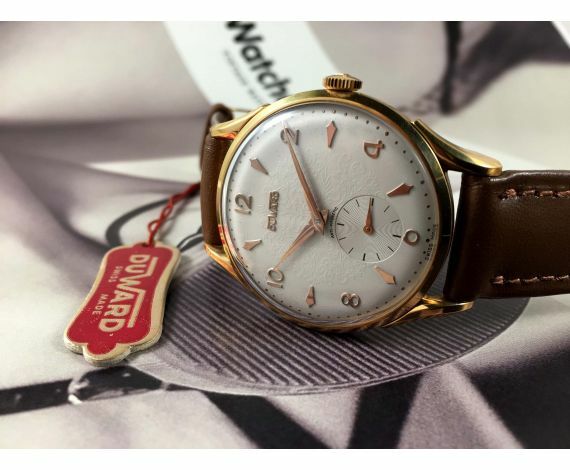 Vintage watches There are 220 products. 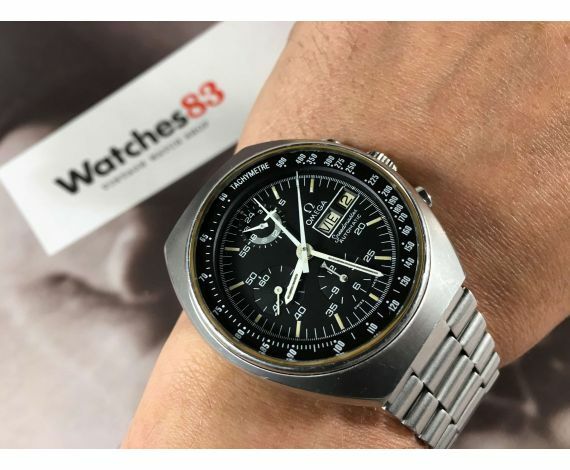 I have purchased two watches from Watches83 recently. 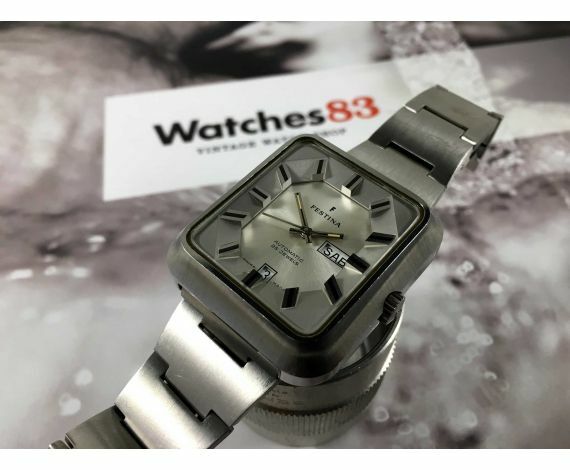 Both transactions were conducted with the utmost professionalism but also in a friendly manner. 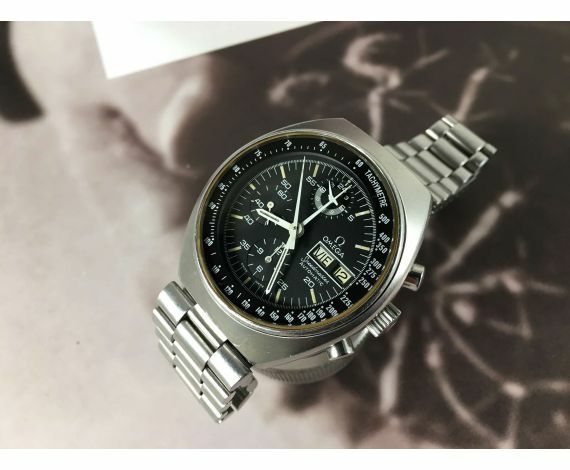 My watches, both being vintage NOS, were I believe the finest examples of their type it is possible to get today. 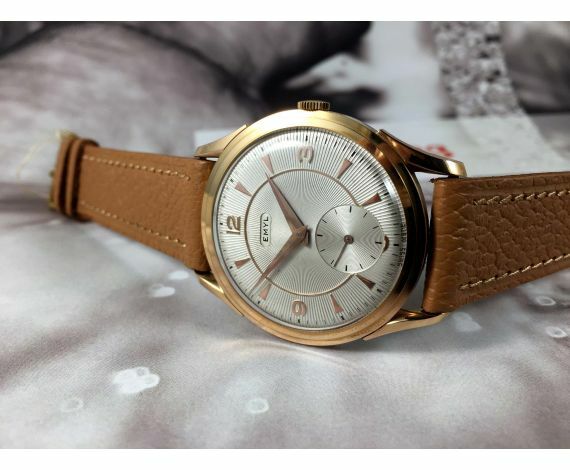 Despatch was prompt and I am more than satisfied with the overall service. 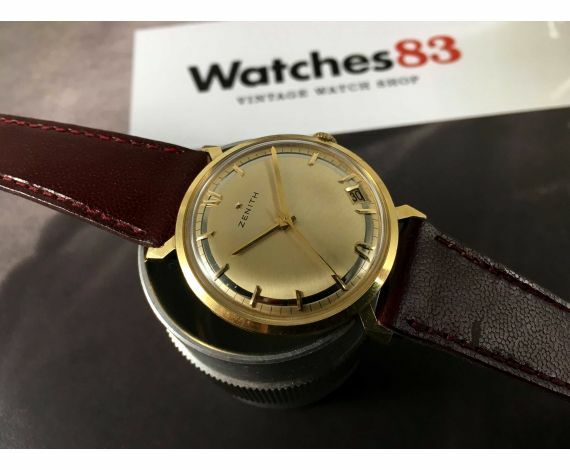 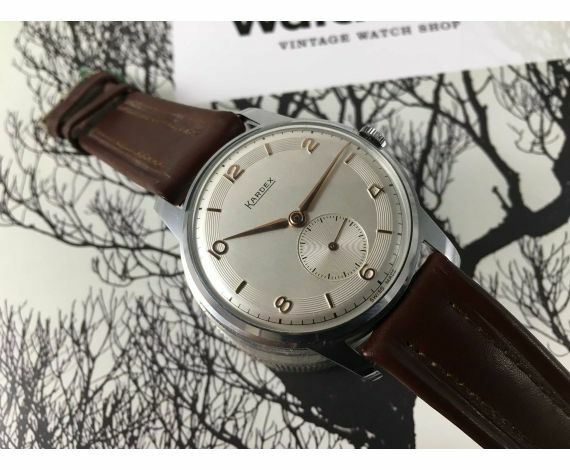 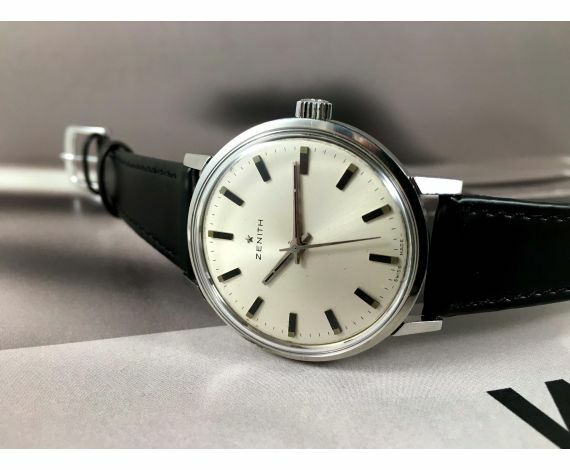 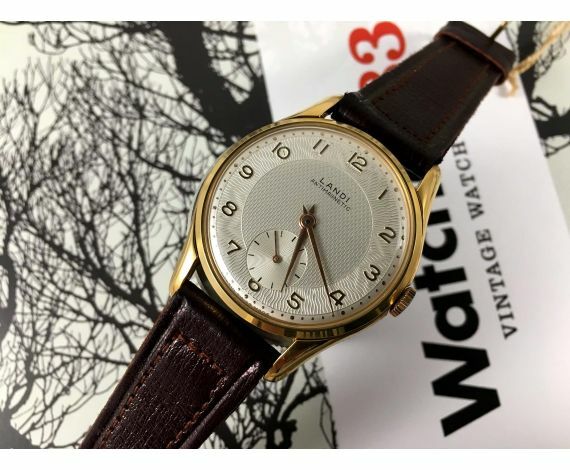 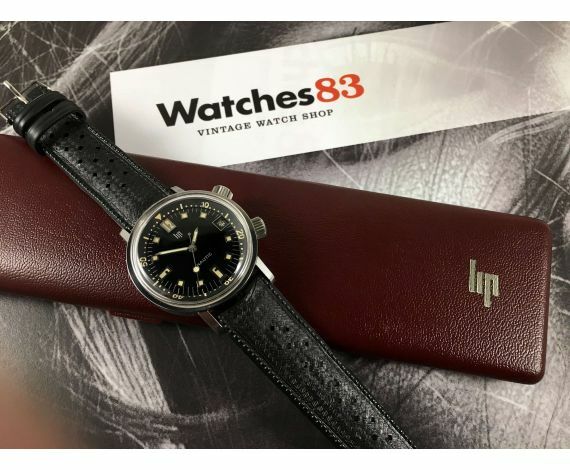 I live in the UK and will deal with this Spanish company again as they are undoubtedly one of the best vintage---and unusual---watch dealers on the web. 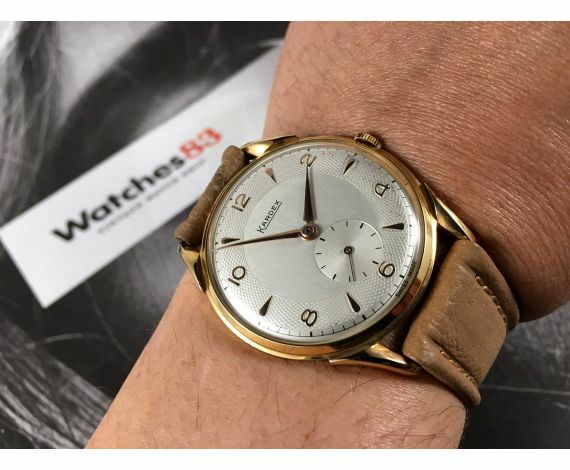 From that moment until today we have not stopped evolving adapting to the tastes and needs of our customers. 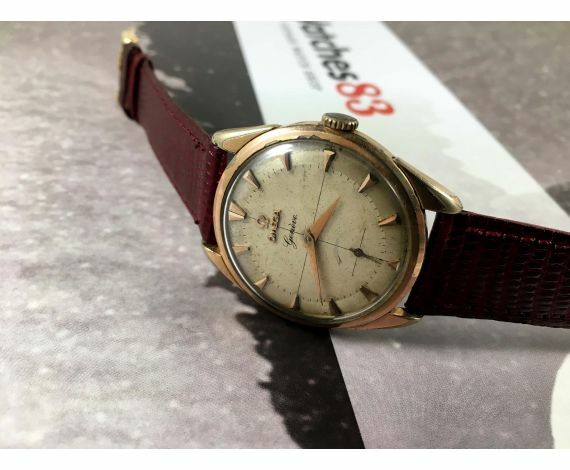 Today we sell around the world and we have consolidated clients that over time become more than customers. 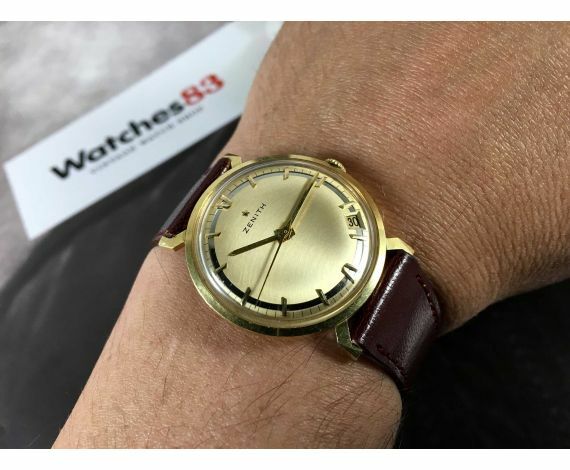 Our catalog has more than 250 watches. 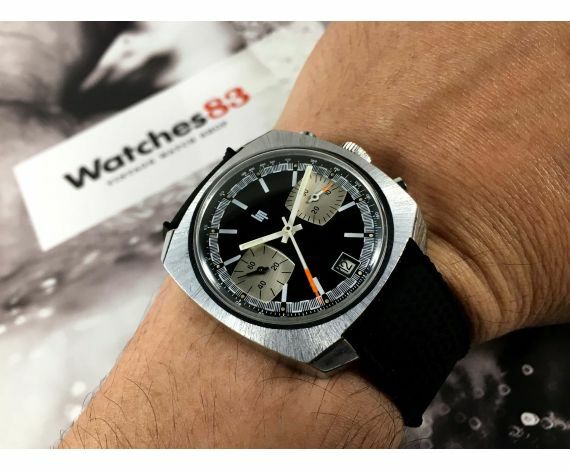 Every day of the year, including holidays, we publish at least one new piece on our website. 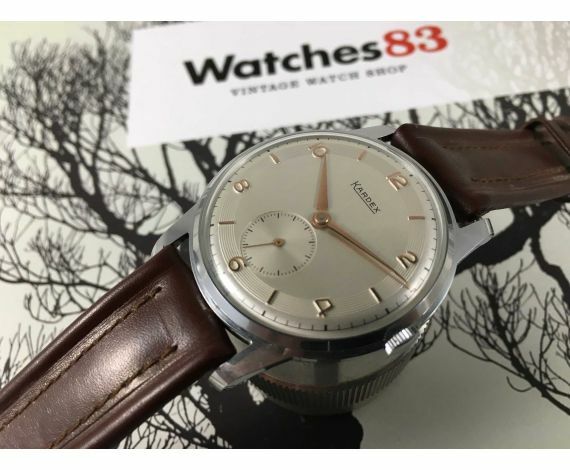 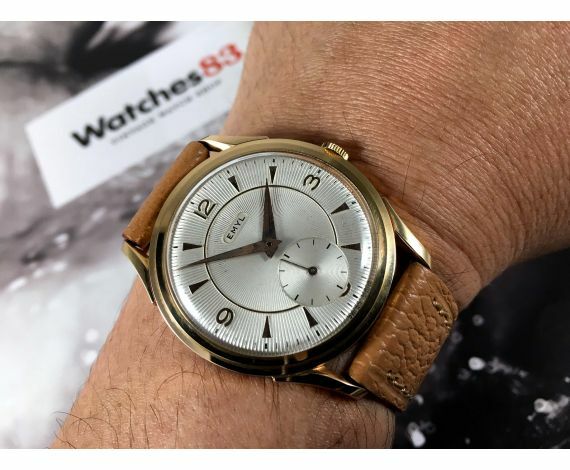 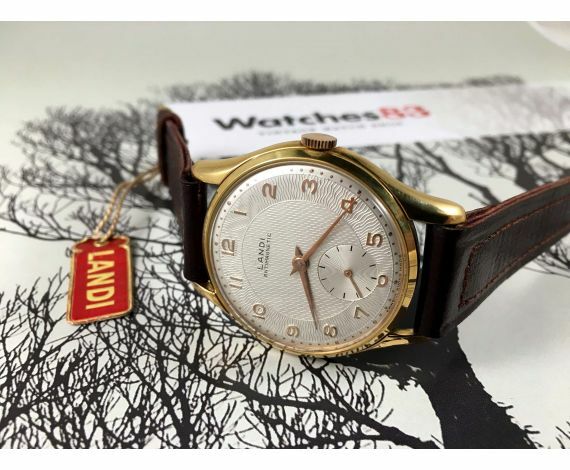 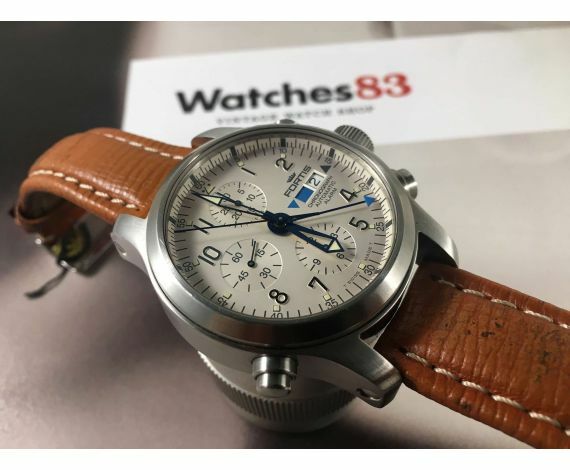 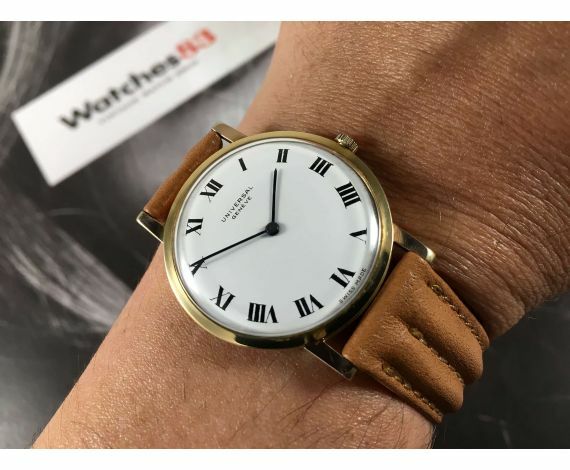 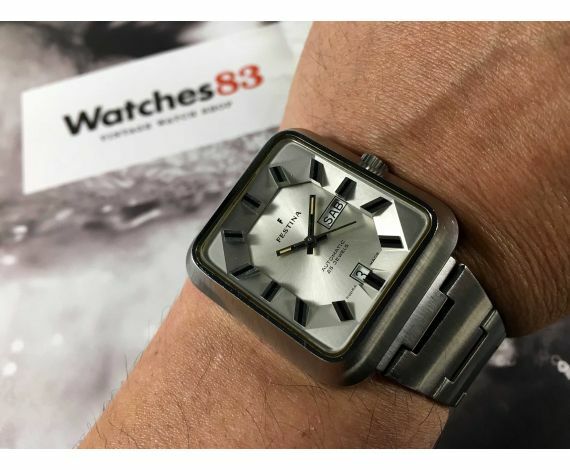 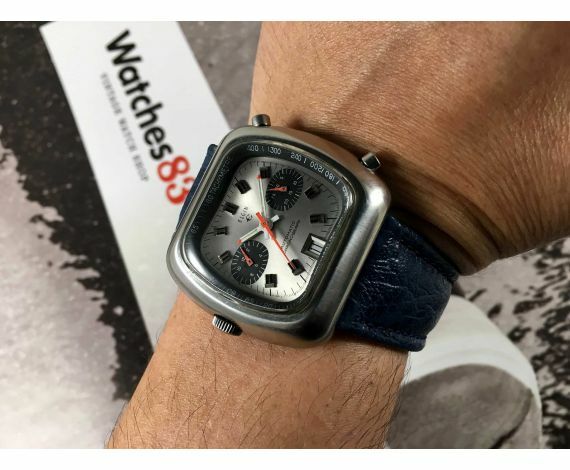 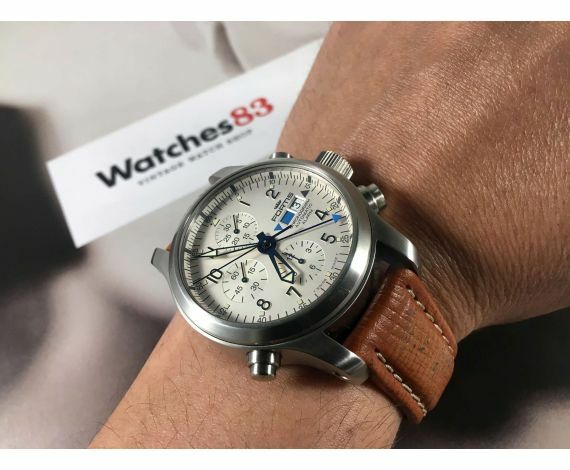 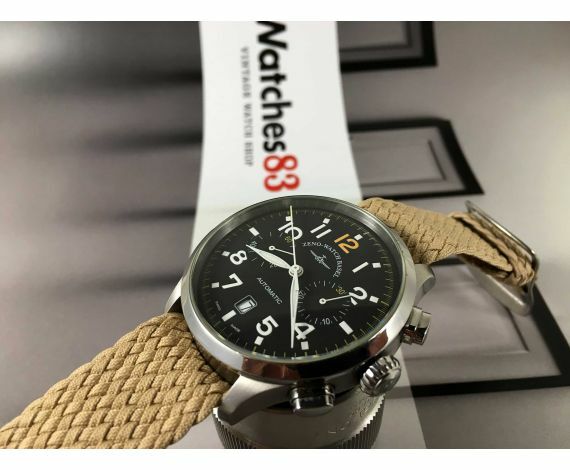 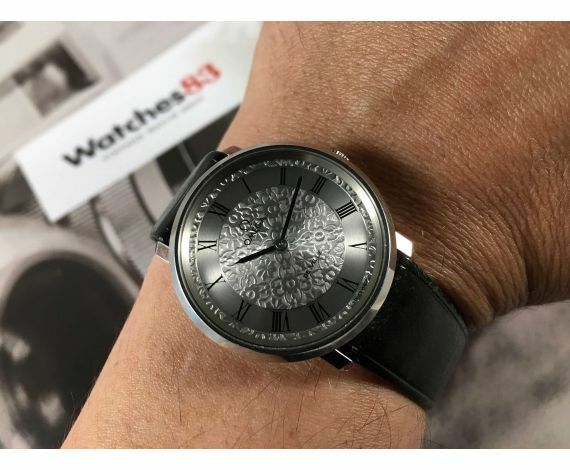 Watches83.com has payment gateway with secure purchase certificate, search engine, newsletter, merchandising products for sale with our image, own kits, blog, etc. 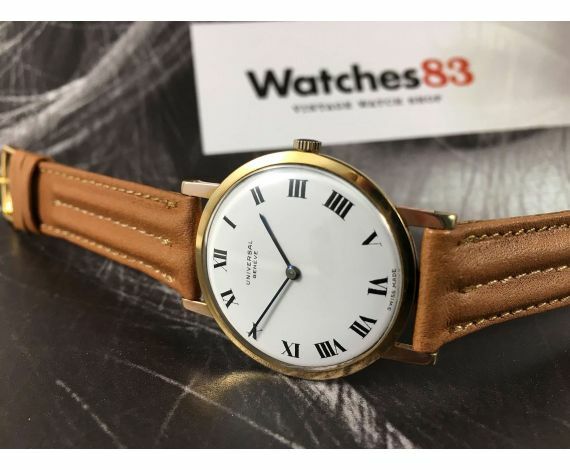 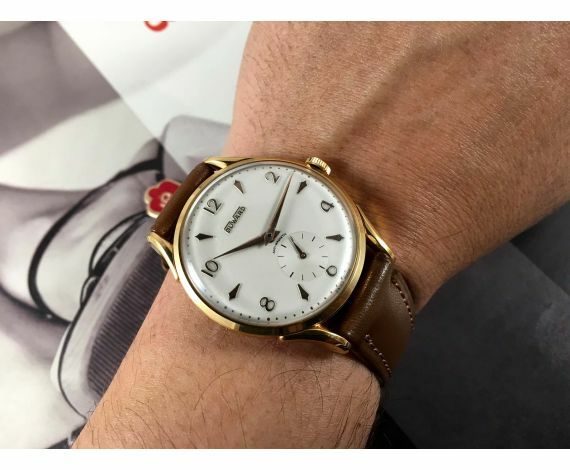 Almost all watches that appear on Watches83.com are vintage mechanical movement: automatic or hand wind. 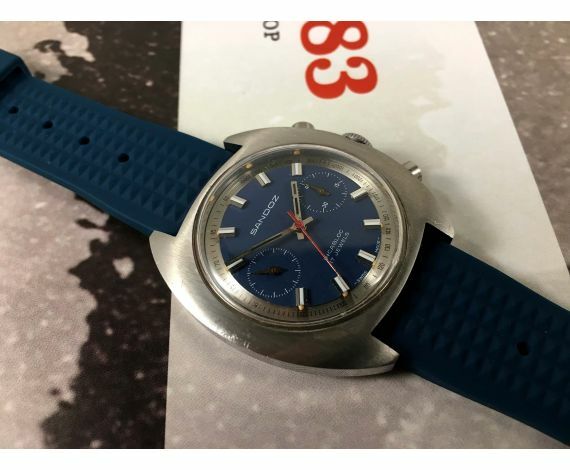 That does not mean that from time to time we publish some iconic watch like the Omega Albatross (megaquartz). 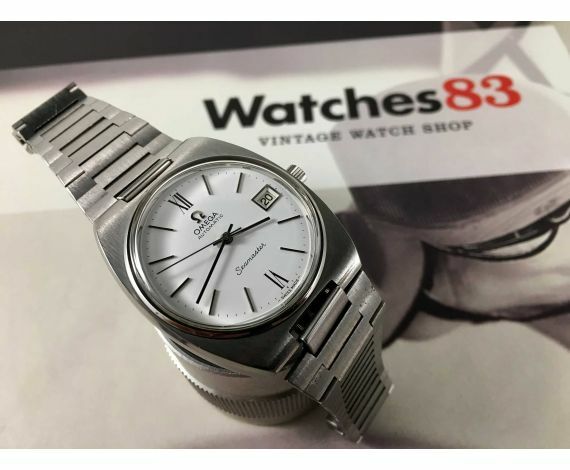 Or non-vintage pieces, like the Omega Seamaster Co-Axial Chronometer Aqua Terra 150M, but it's a punctual one. 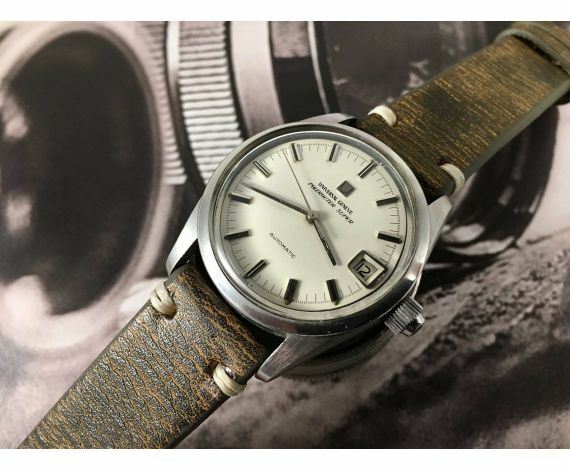 Our essence is and will be the vintage mechanical watch. 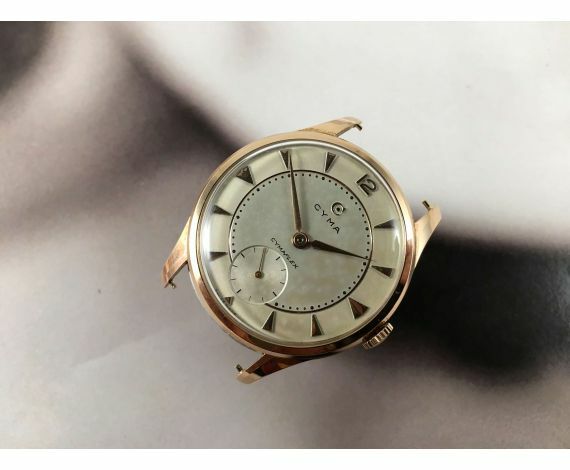 Within our catalog of vintage watches with hand wind or automatic movement there is representation of practically all the calibres and epochs being the brands with which we work more Aquastar, Baume et Mercier, Breitling, Bulova, Certina, Cyma, Dogma, Duward, Eberhard & Co, Enicar, Heuer, Jaeger LeCoultre, Lip, Edox, Enicar, Eterna Matic, Fortis, Frederique Constant, Girard Perregaux, Glycine, Hamilton, IWC, Leonidas, Longines, Maurice Lacroix, Mido, Mondia, Movado, Omega, Oris, Patek Philippe, Rolex, Sandoz, Seiko, Thermidor, Tissot, Tudor, Universal Geneve, Yema, Zodiac, Zenith, etc. 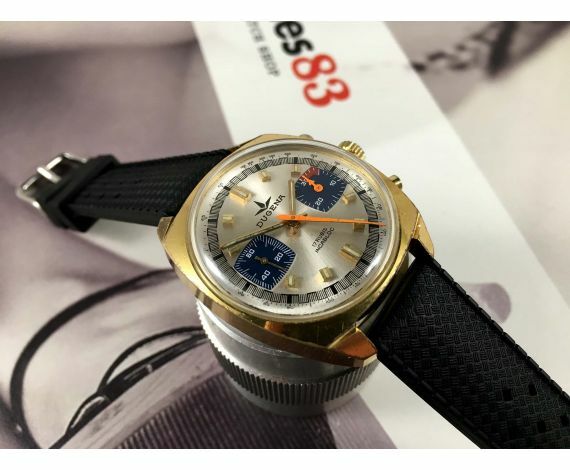 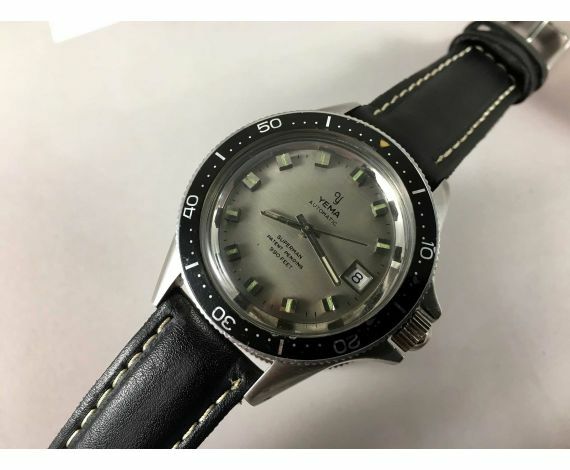 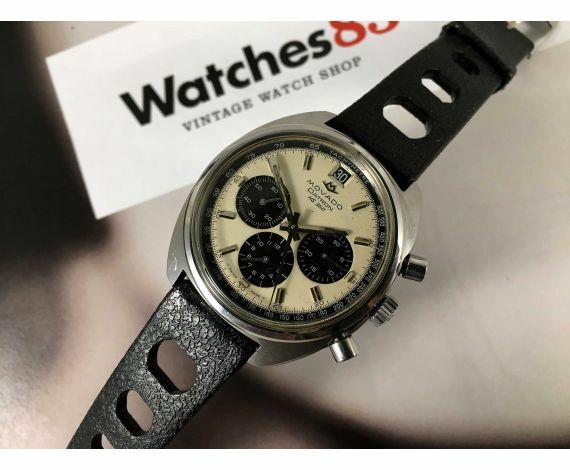 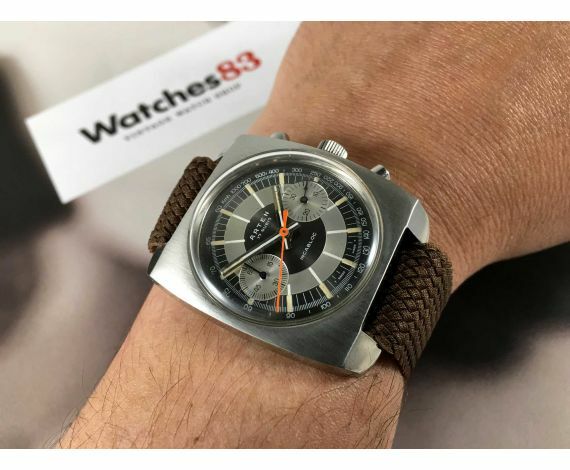 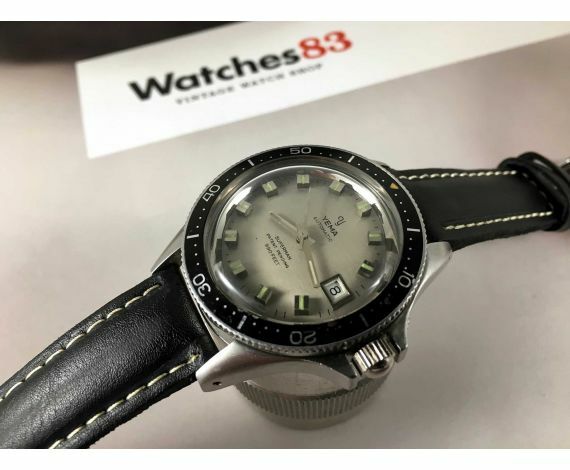 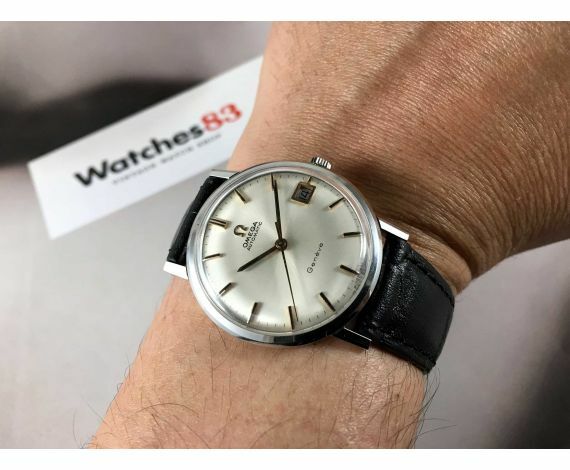 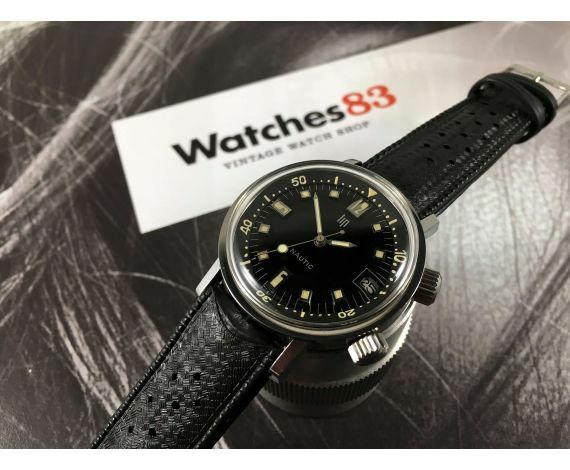 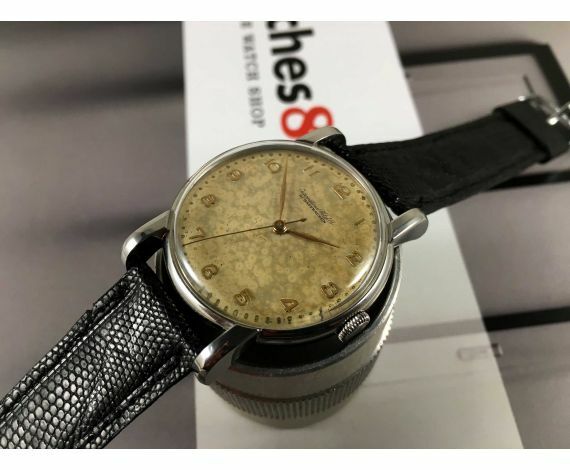 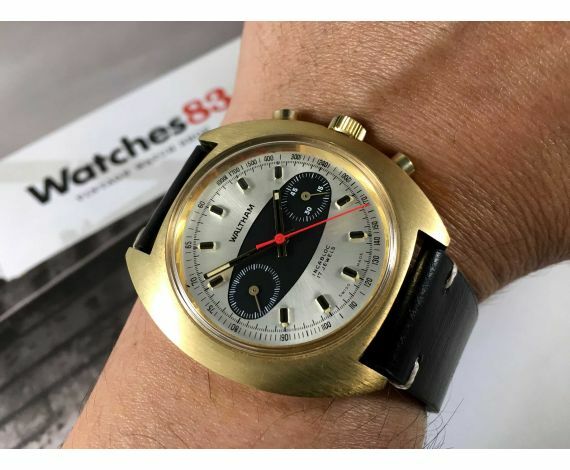 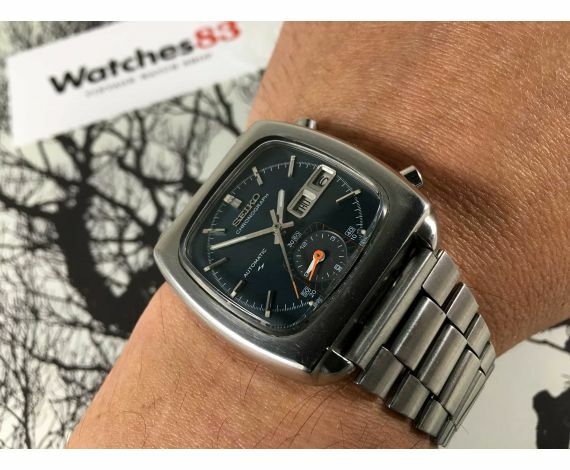 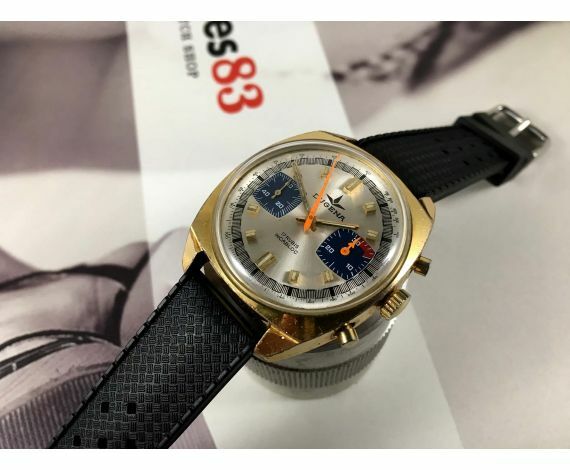 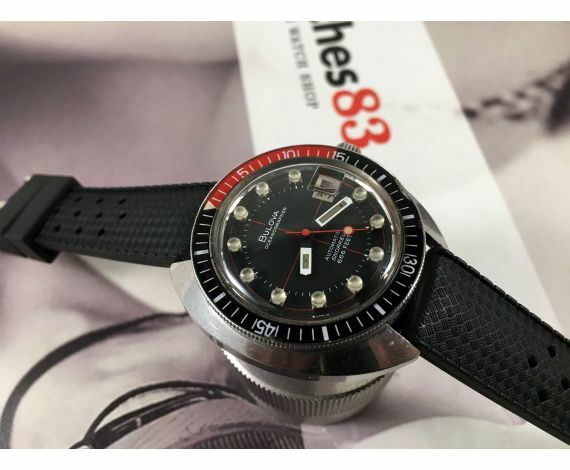 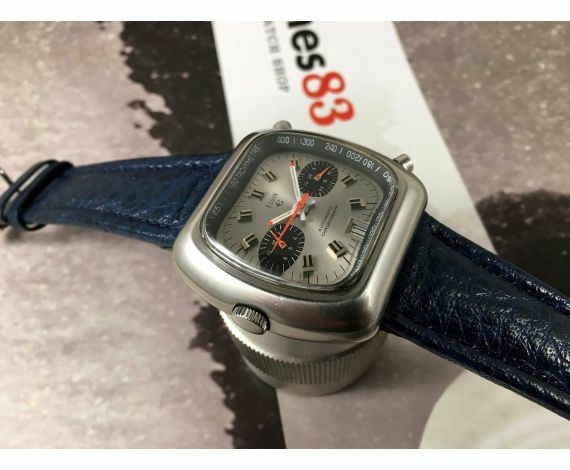 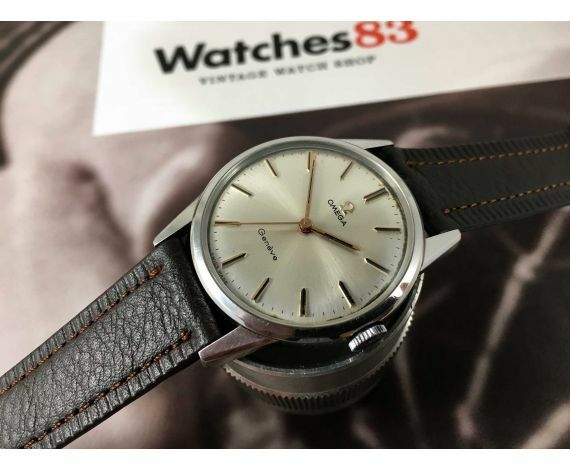 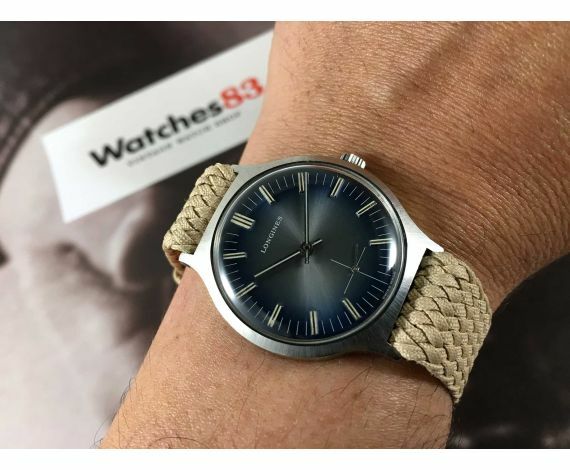 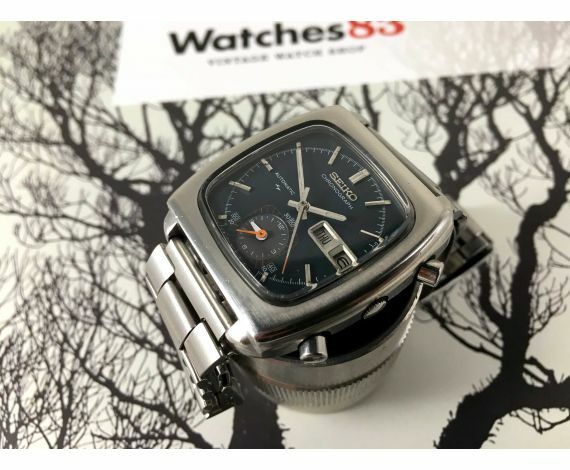 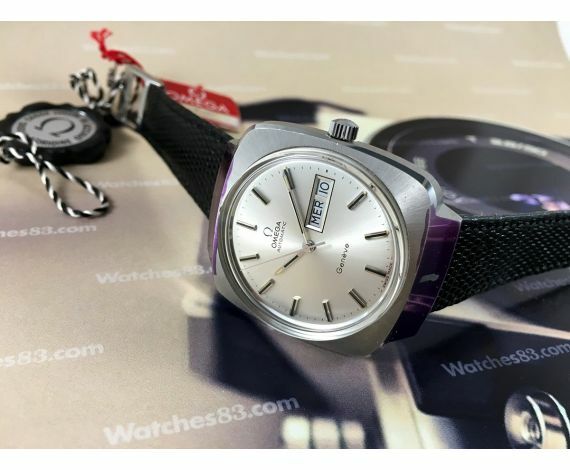 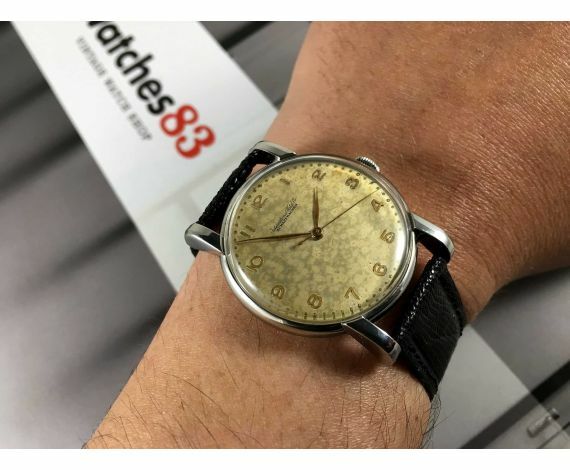 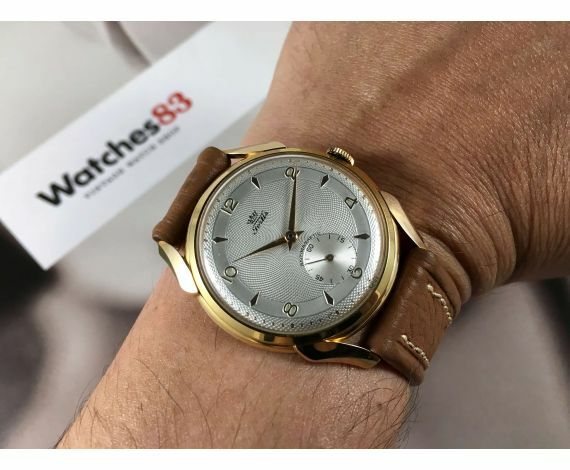 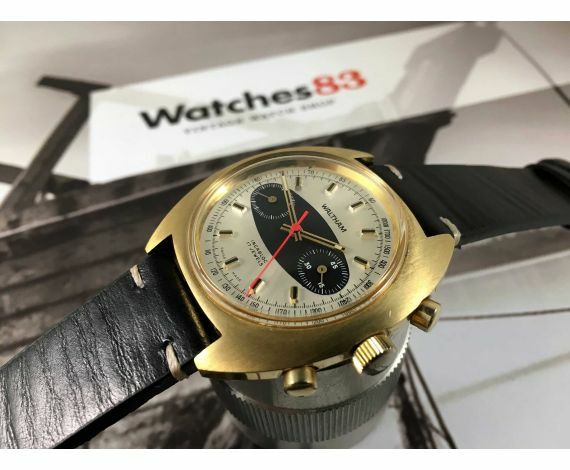 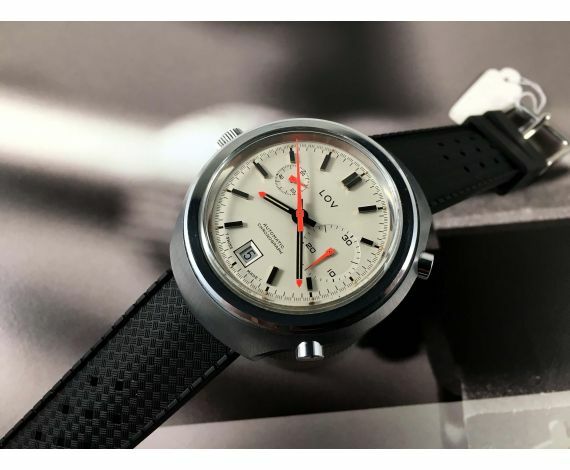 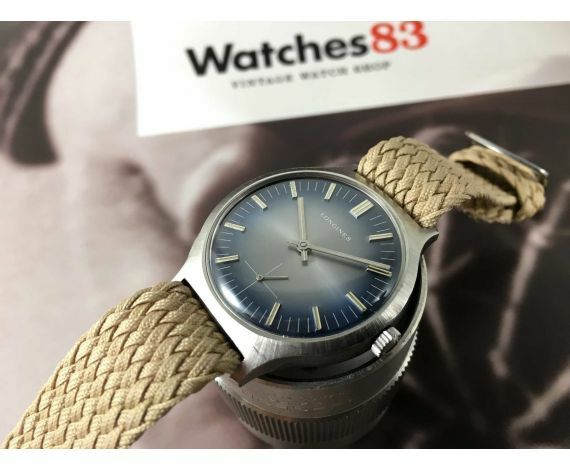 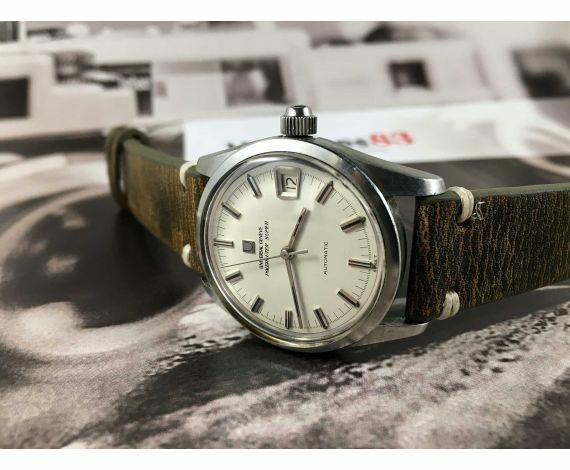 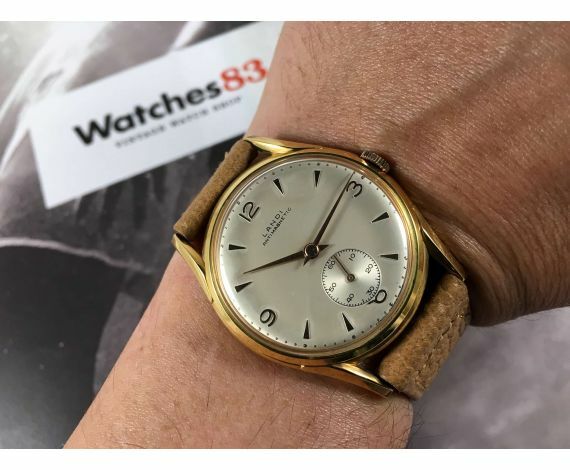 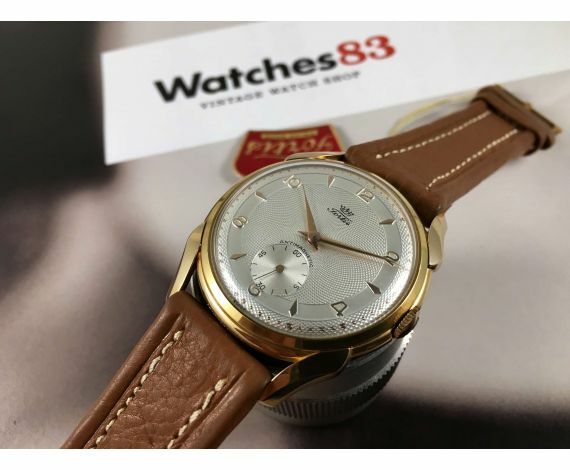 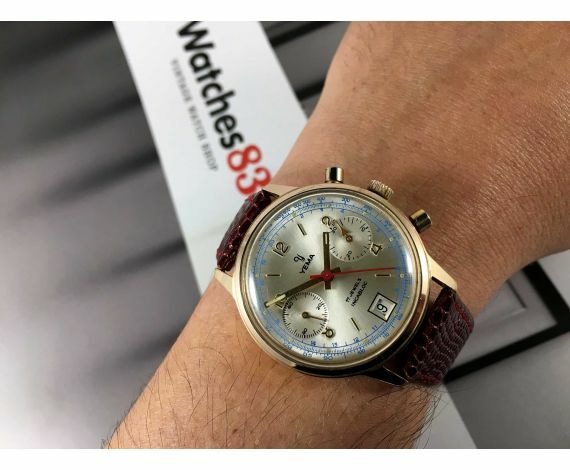 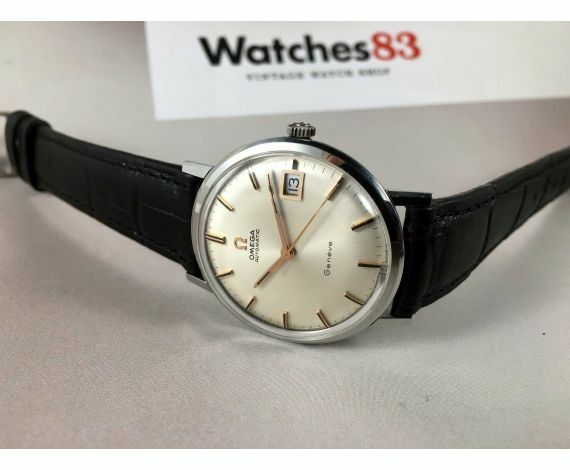 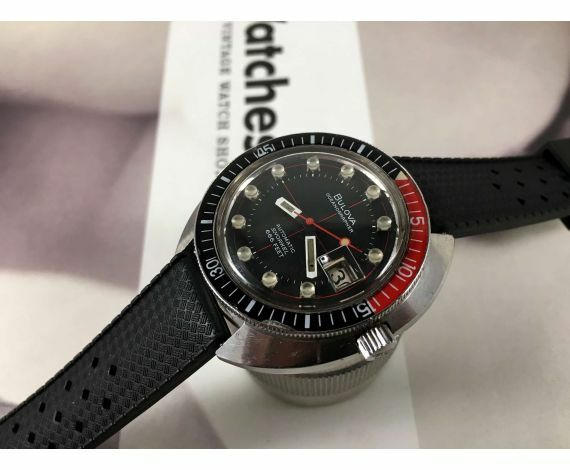 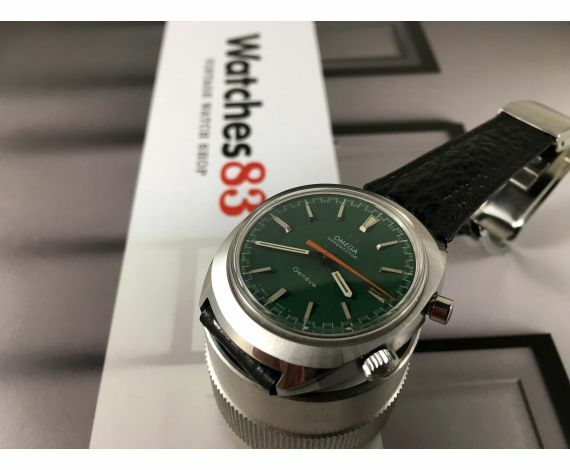 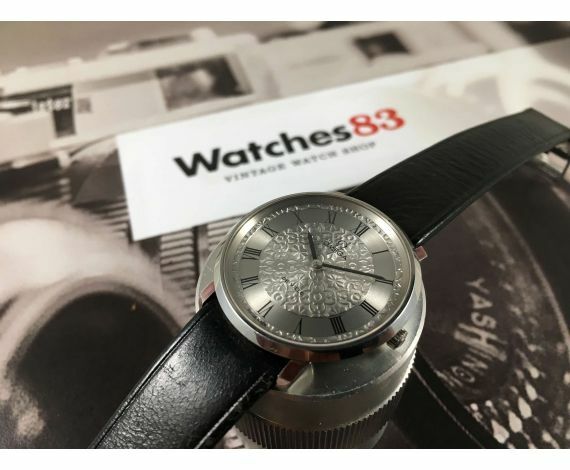 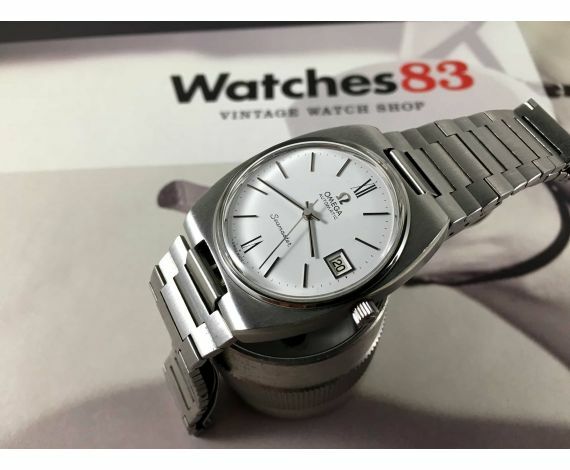 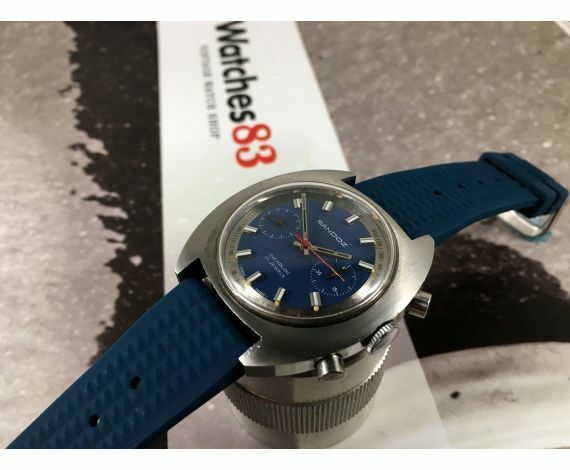 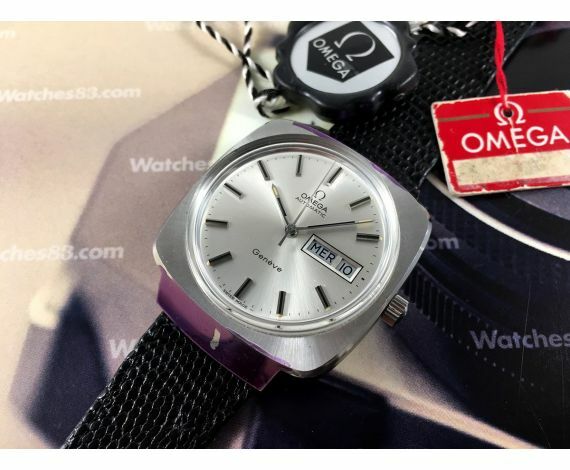 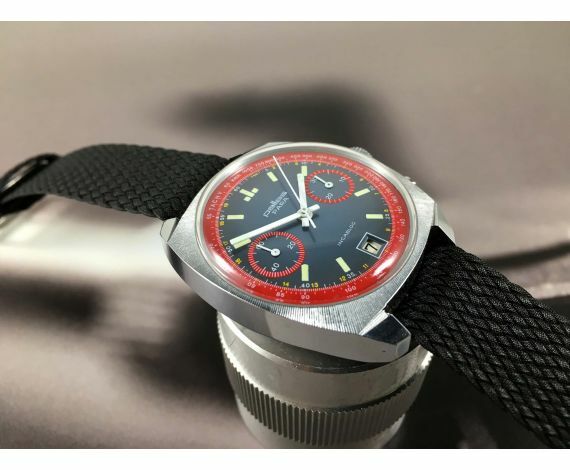 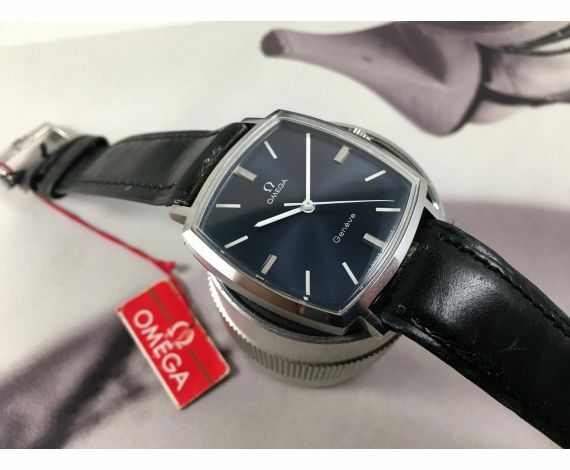 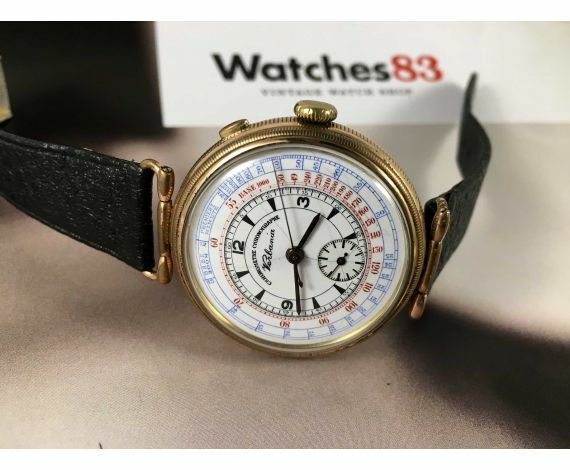 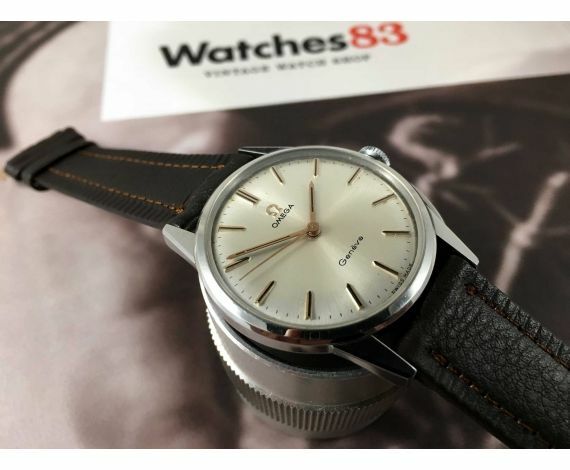 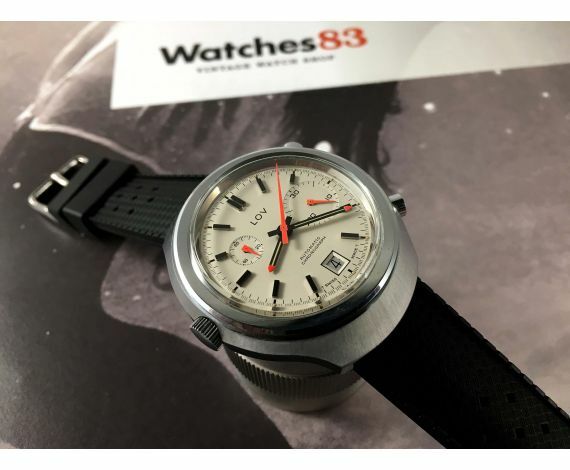 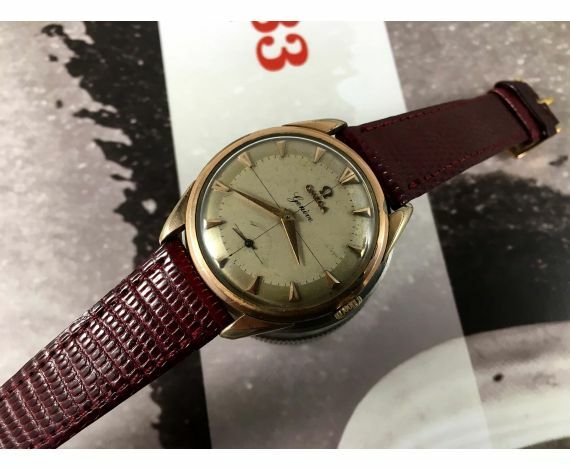 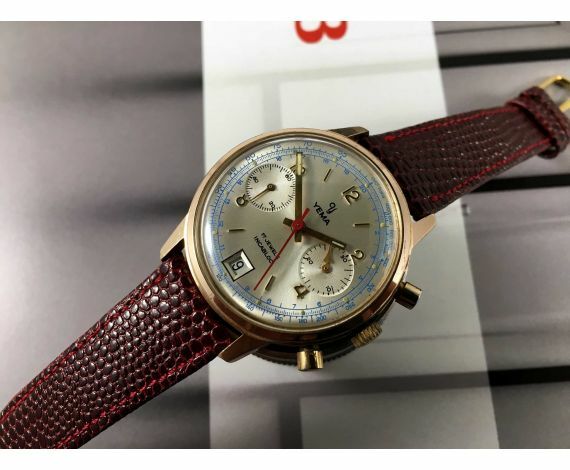 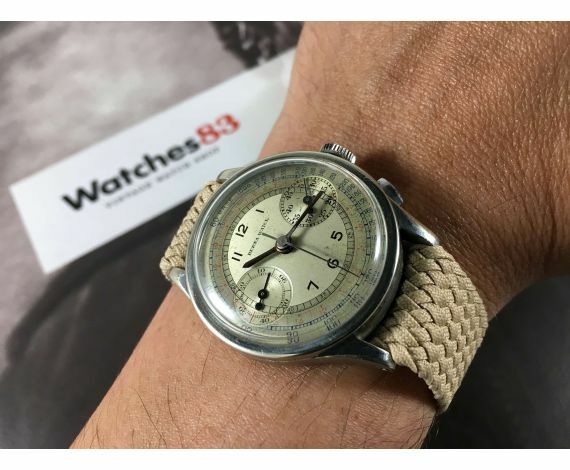 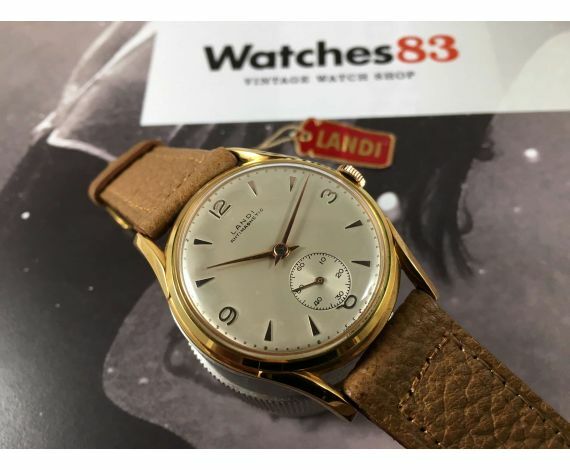 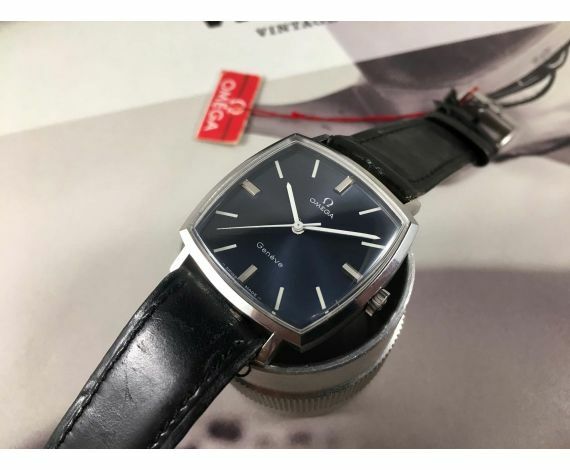 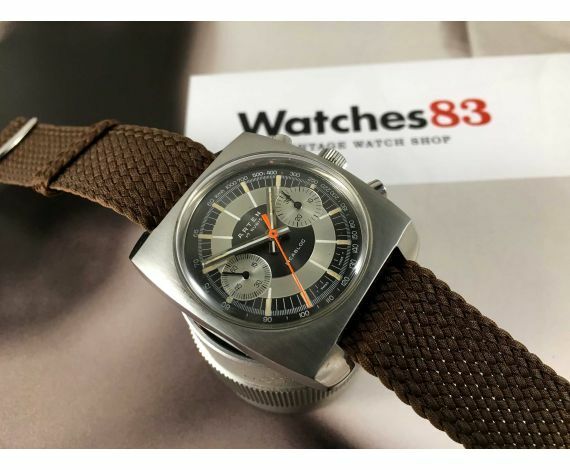 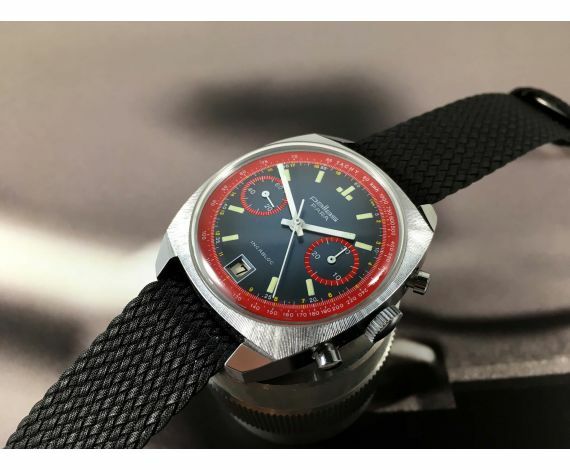 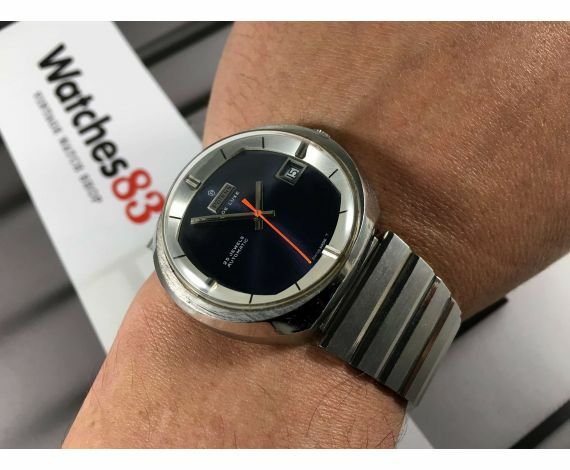 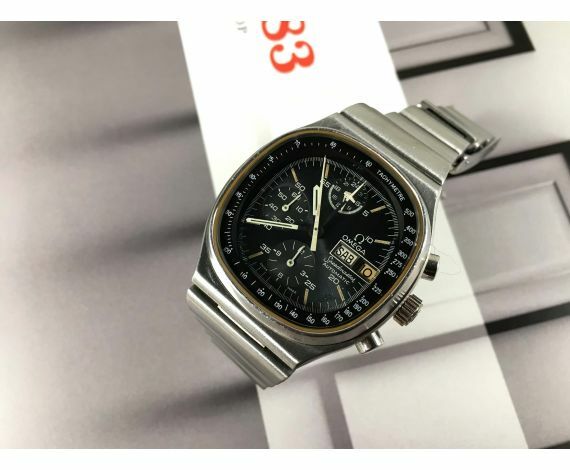 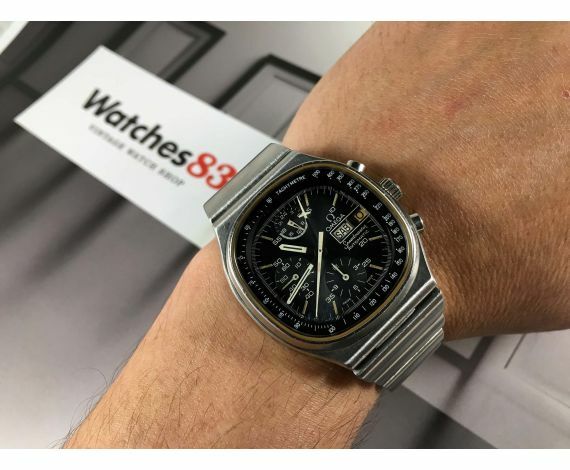 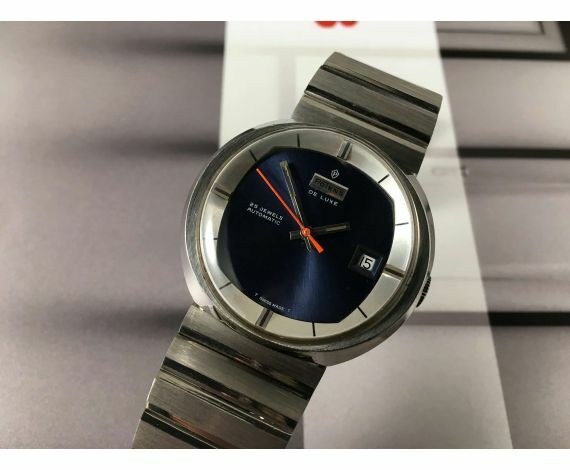 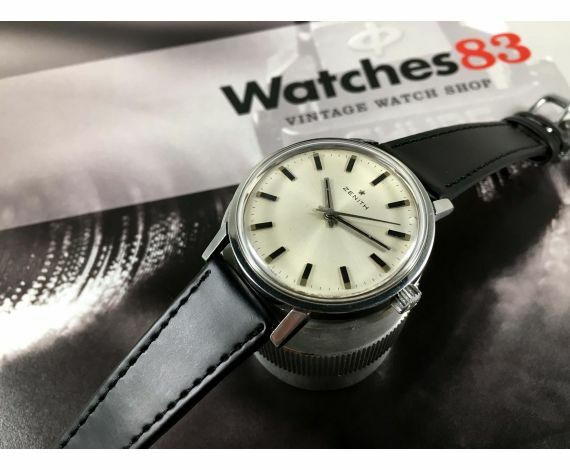 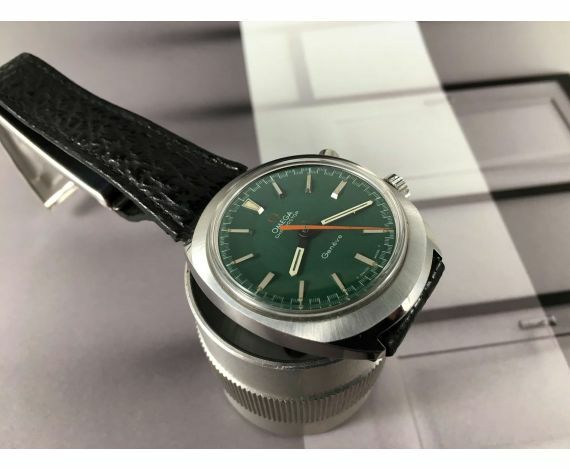 Although what you will find at watches83.com are Omega watches (Seamaster, De Ville, Dynamic, Constellation, Speedmaster, Flightmaster, Memomatic ...), New Old Stock (NOS of any brand), and Chronographs (mainly Valjoux and Buren). 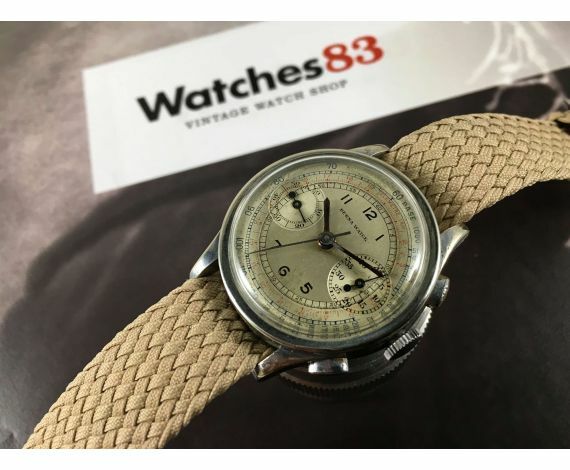 In addition to publishing daily vintage watches on watches83.com we also adjust our prices on a regular basis. 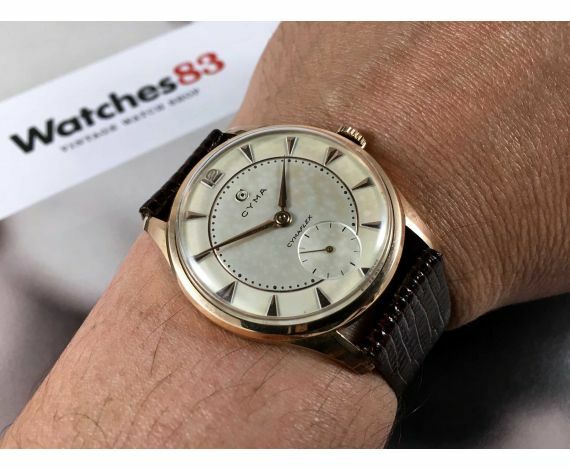 Our pricing policy establishes slightly higher values for new additions, to apply corrections to the downside after a few days ... if the watch has not yet been sold!. 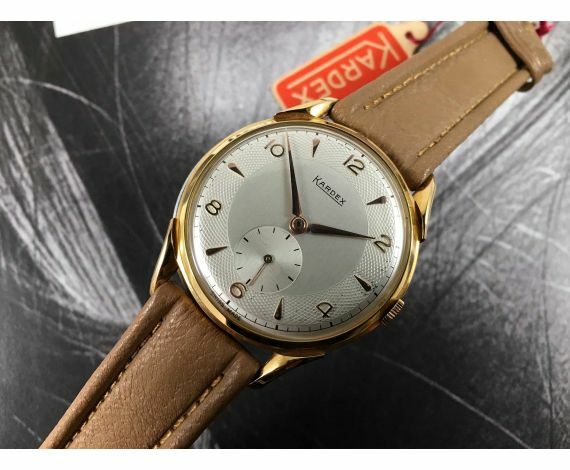 But it is not an exact formula, sometimes the price adjustment is upward. 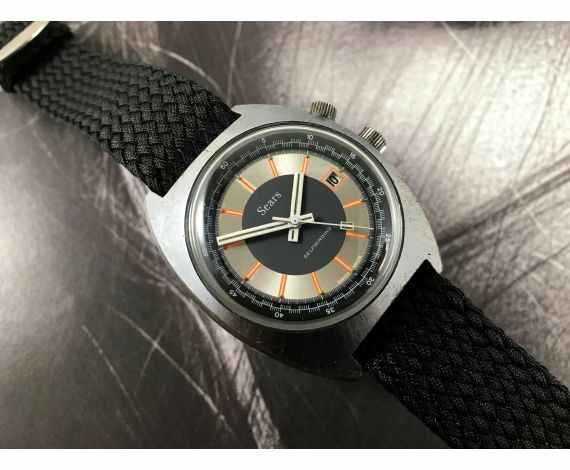 It is based on our own criteria. 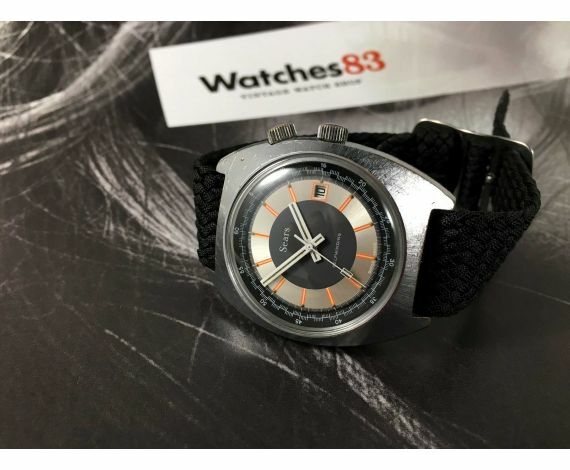 Let's say that Watches83.com works like a stock market: our prices are corrected permanently. 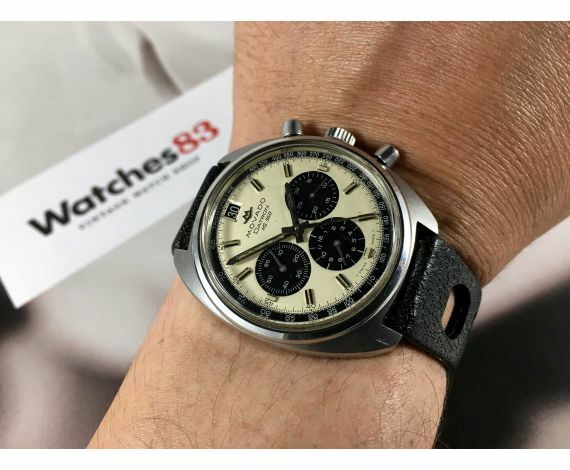 It is not strange to enter 3 times in a week at Watches83.com and observe how the same Omega Seamaster has suffered 3 price changes. 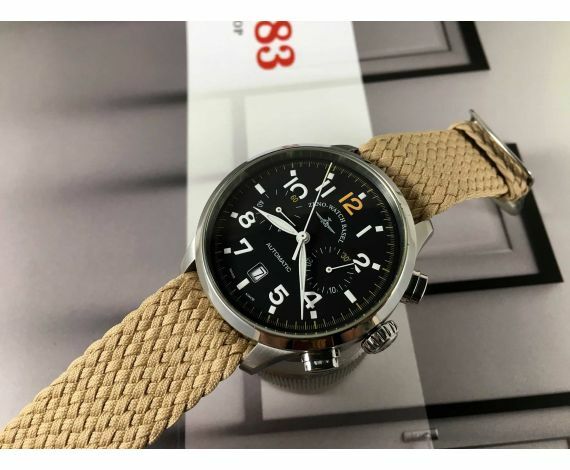 And not always down! 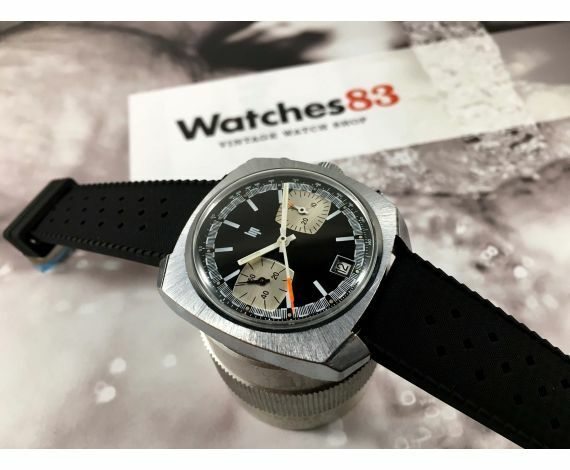 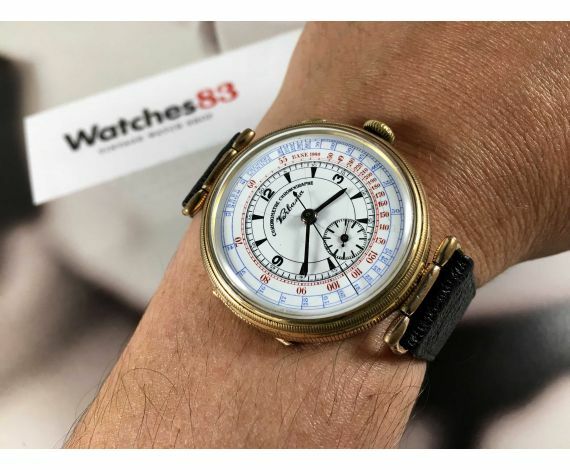 Watches83 for those who want to know more than the time!